To teach entrepreneurship, become an entrepreneur! 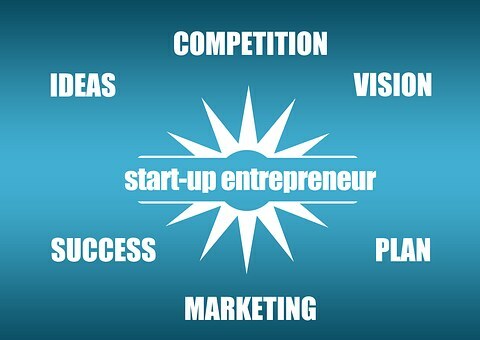 Many people dream of becoming an entrepreneur one day but many do not realise this dream. This is not surprising given the number of businesses that fail every year. There is a belief that it’s safer to be an employee with a guaranteed pay check every week/fortnight/month. But the reality is, being an employee is not safer. Ask those who have been retrenched and they will tell you that they never thought they’d lose their job. I used to think that a person is either an employee or an entrepreneur. A person falls into one group or the other. because I thought you either start your own business or you apply for a job. But then I realised there is no reason a person can’t be both an employee AND an entrepreneur at the same time. In fact, this is usually an ideal position to be in when someone is considering entrepreneurship. Having multiple income streams reduces the financial risks of being an entrepreneur. If we want our children to be an entrepreneur one day, we must show them how to become one. Being an entrepreneur is so much more than just the daily running a business. It’s taking a wholistic view of everything that comes with running a business. It includes future plans, forward thinking, budgeting, etc. But how do we teach young children these concepts? How do we show them to become an entrepreneur? Become one ourselves! To teach entrepreneurship, we must be an entrepreneur. An entrepreneur doesn’t have to be running a multi-billion dollar business. Nor does an entrepreneur have to be running a business full time. There is no reason why we can’t start a side business while still be an employee. The business doesn’t have to be anything extravagant. I started a worm farm ‘business’. At first I set up a worm factory to recycle my household organic waste. This was especially when we started consuming organic produce – it would seem a waste if these organic vegetable and fruit peels simply ended up in the rubbish bin. Therein was the start of a small ‘business’. I involved my children in the ‘running’ of this business and it became our business. I attended a worm farming workshop and was given a worm factory. So all I bought were the worms. To recoup our costs I sold the worm juice concentrate and worm castings that comes with a thriving worm farm. We now have repeat customers who come and buy these concentrate and castings every so often. It’s not making us rich, but the value of this is in the lessons it teaches the children.